The West Coast's top full-service company for casting, acting, film, commercials, voice over and animals. We also cast professionals that are credited Film & TV Directors of photography, Directors of Art, Location Managers and their properties. Actors, register now to submit to projects currently casting. Register and submit to paying professional acting projects now! Easy, fast profile set-up with quick and secure project submission. 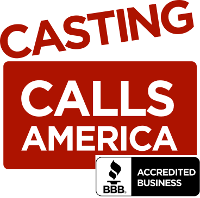 Toni Staniewicz is an independent Casting Director/Producer and the owner of Toni Staniewicz Casting which casts talent for Commercial and Theatrical productions.